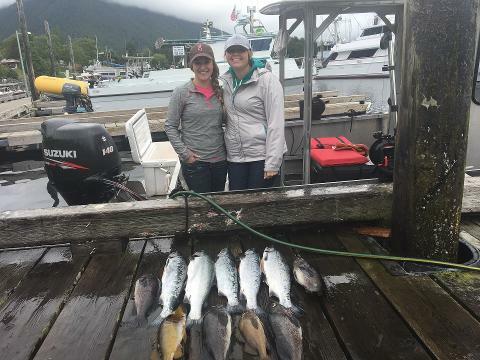 A saltwater fishing trip in Alaska is a must do activity and a Saltwater Mooching Charter is the best way to experience fishing in Alaska. 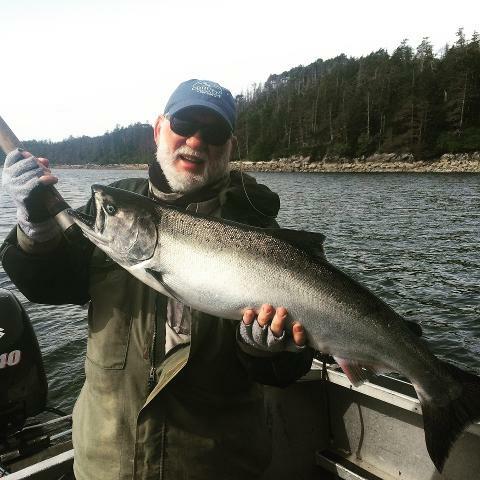 Your fishing trip begins at our outfitting shop where you will you will be outfitted with appropriate gear for the trip. 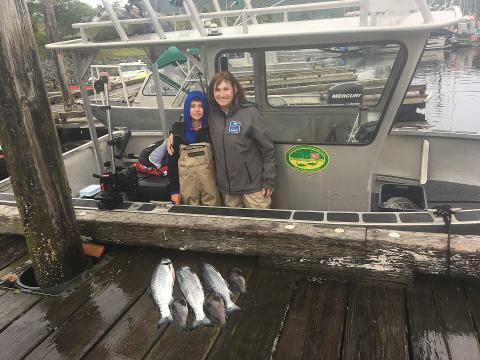 After gearing up with protective clothing you will make your way down to Crescent Harbor where you will board a 27' Alaska Skiff that is custom built for fishing. 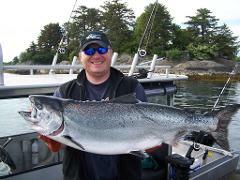 The boat has cushioned seating a covered fishing deck and a restroom for your protection and comfort. 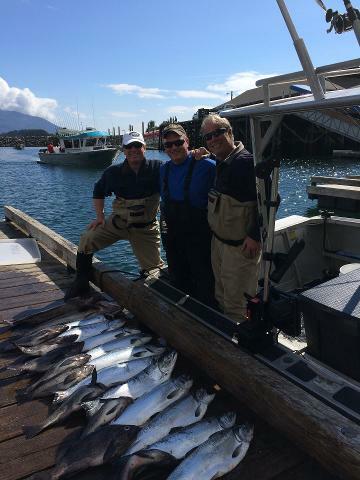 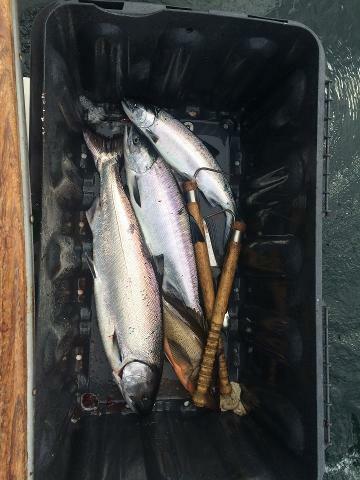 There are lots of productive fishing grounds less than 45 minutes by boat from Crescent Harbor in Sitka so you wont have to wait long to drop a bait and start fishing. 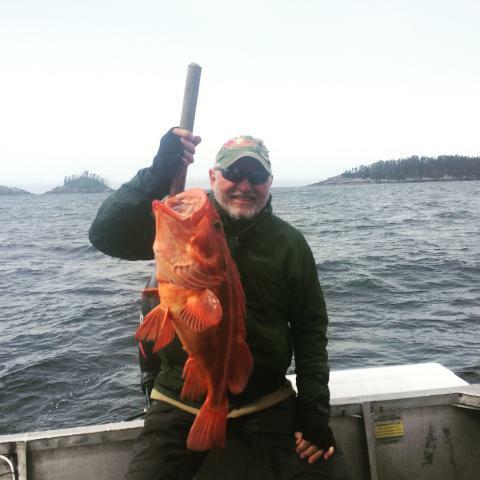 You will enjoy approximately 4 hours fishing for Salmon, Rockfish and Lingcod in season. 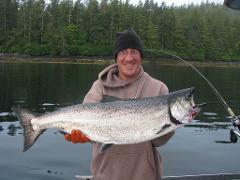 All gear, tackle, bait, ice and snacks are provided. 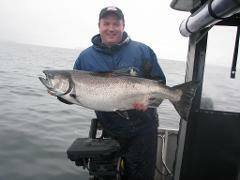 You will need to purchase an Alaska sport fishing license and King Salmon Stamp if you are fishing for King Salmon. 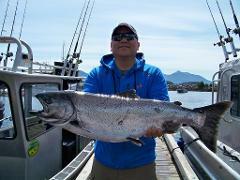 Fish processing is not included but is available for an additional fee. 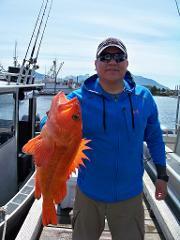 Fish processing will be arraigned by your guide on request as needed.